Gasparilla 2019 is here and District Tavern is your first stop! 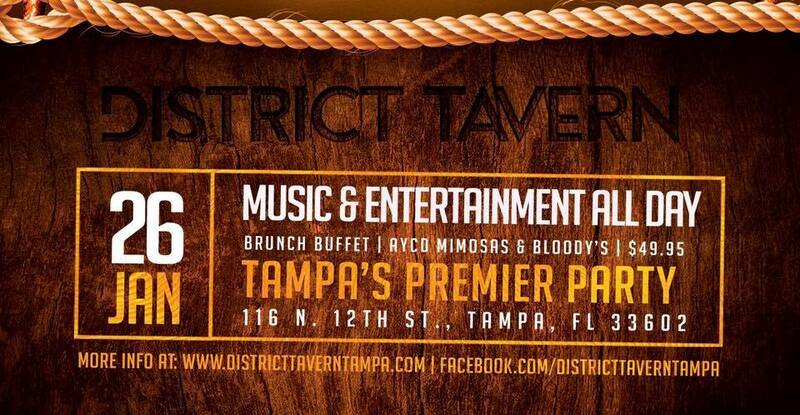 Doors open at a special 8am, serving up the most delicious Brunch Buffet and AYCD Bloody Mary’s and Mimosas! Music and Entertainment for your enjoyment with all day fun! Brunch Buffet and AYCD Bloody Mary's and Mimosas is just $49.95* or enjoy your choice brunch items from our limited menu 8am-12pm.